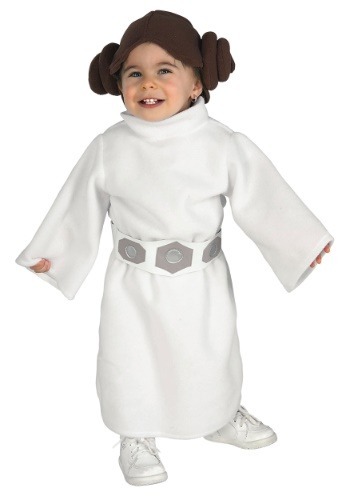 Your little girl will look precious in this Princess Leia Toddler costume. 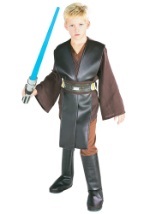 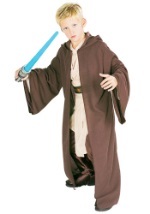 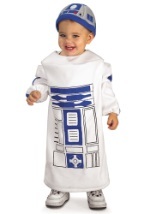 This costume comes with a polyester-foam material robe that is white and has long sleeves. 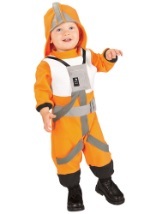 A white and silver vinyl belt wraps around the waist and is secured in the back with Velcro. 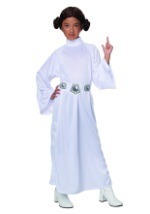 A brown headpiece rests upon the head and gives this costume Leia's signature hair buns. 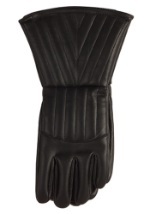 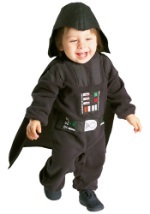 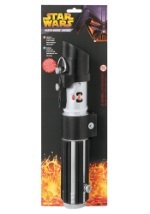 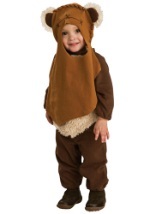 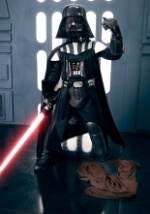 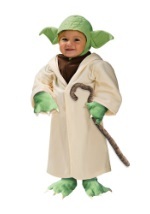 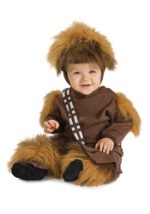 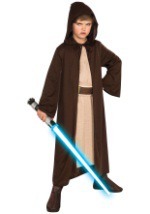 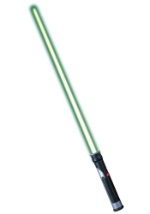 This Leia costume is officially licensed and a great choice for your little princess.